We all know what a hassle it can be organizing your gear while on a camping, hunting or fishing trip. It can even be a bigger pain to find stuff in your backpack. Thanks to an innovative design, this will no longer be the case. 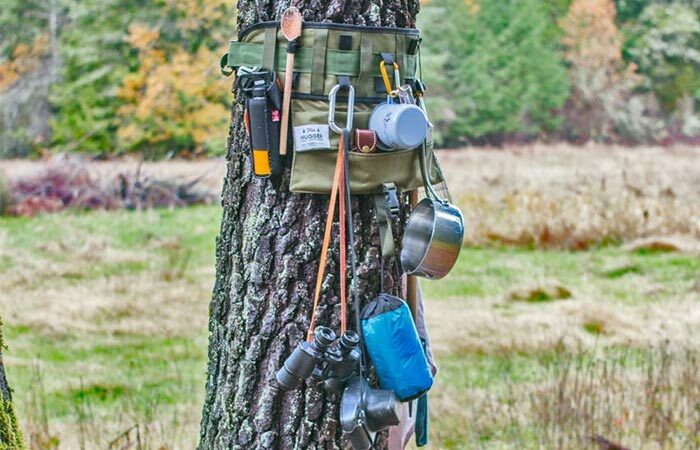 Introducing the Tree Hugger Gear & Supply Cache. 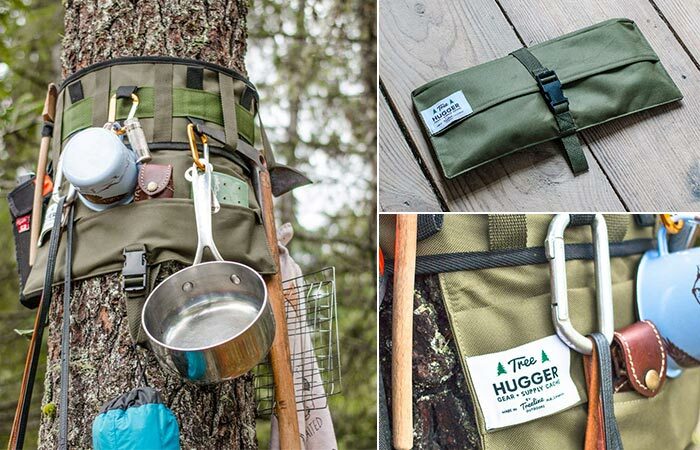 Designed and built by Treeline, a company based in Alberta, Canada, the Tree Hugger will revolutionize the way that you use and store your gear. The Tree Hugger is strong enough to handle any gear that you want to store. It’s made even more versatile by the fact that it can fold into an exceptionally compact size. The system works by simply attaching it to a tree that measures anywhere between 1 to 2 feet. It then gives you a platform with ample space for all of your gear and utensils. This can include cooking gear, such as pots, mugs, pans, and cutlery. It can also be used to safely and securely store your axe or hatchet. Furthermore, you can even utilize to store your fishing gear, ammunition, lanterns and whatever your imagination can come up with. The Tree Hugger is constructed out of 100% PVC-coated Polyester.